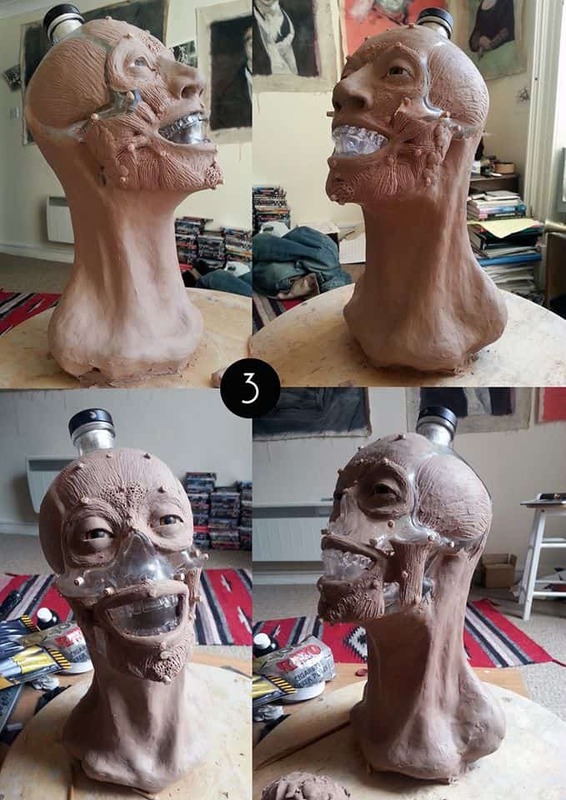 I just found that again and I just want to keep that COOL Vodka Skull story alive. 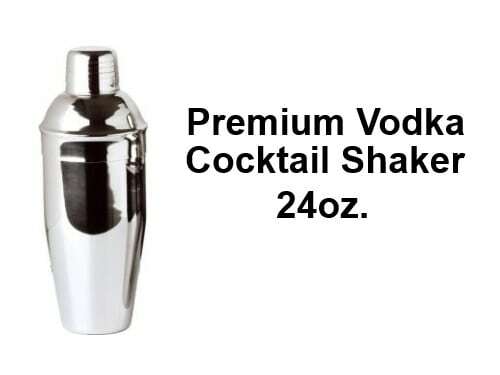 Some people think that Vodka is a plain, tasteless, maybe even a dull drink. Well, that is not true! For creative people, Vodka can be very inspiring. For example, some people invented a simple filtering technique for amateurs, so they can make a cheap Vodka better with conventional equipment. What a great idea. 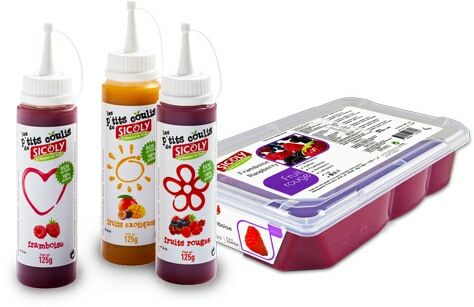 But what inspired me most in the Vodka department is a young man who is a forensic artist. Nigel from Scotland is a man of intelligence and standing in his job. He is also a Vodka fan. Let’s see what kind of ideas Nigel gets when he drinks Vodka. For some people, alcohol bottles become real friends. They even talk to them. If this was the inspiring momentum behind Nigels vision, we do not know. 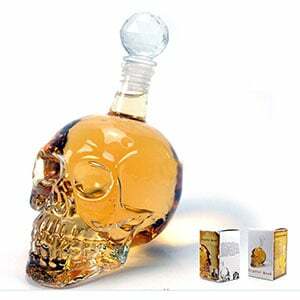 What we know is this: Nigel one day stumbled across a Vodka bottle in form of a scull made of glass. 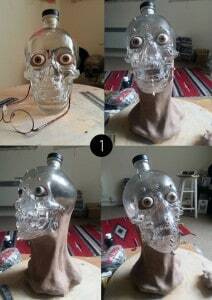 Probably you have seen these bottles for “Crystal Head Vodka” somewhere. It is very probable that Nigel got such a bottle as a present. Now, Nigel is a man of fantasy. And he has a good heart obviously. 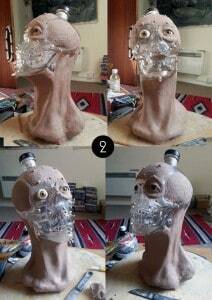 Sipping on his Vodka, he probably thought: Well, this poor scull must have been a man once. 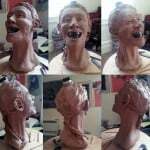 How about reconstructing his face, so we know who he was and can learn more about his character? Nigel is a man whose ideas come alive at once, especially when they are good. As I said, Nigel is a professional forensic Artist. Buddhist artists, when they are painting a face, put the eyes in last. For them, eyes are the part in a body which let a painted person come alive. But Nigel started with the eyes. That was a significant move as the “Crystal Head Vodka”-skull now was able to follow what Nigel was doing. They became partners in crime, so to speak. Both have not yet revealed how many shot glasses Nigel emptied during the process of reconstruction. 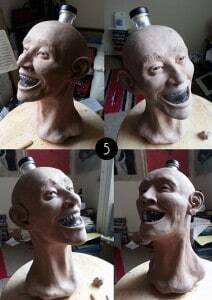 After putting in the eyes, Nigel cared for some skin around the neck and went on to reconstruct the facial muscles. From the forms of a bare scull you can deduct how the muscles must have been placed. After that you add some fat tissue und skin. This really sounds simple but it is a lengthy process that requires different skills. The unusual things is: Nigel is a Scotsman. But he is obviously no Whisky fan. Even if he is, he is a genius in the forensic reconstruction business. When Nigel finished his forensic work, a man with a jolly grin, a prominent nose and some blackened smokers teeth sat opposite of him. Well, at least the head of him. It was such a beautiful piece of art that Nigel sent pictures of the reconstruction process to the distillery. They posted the series on Facebook – and that was that. 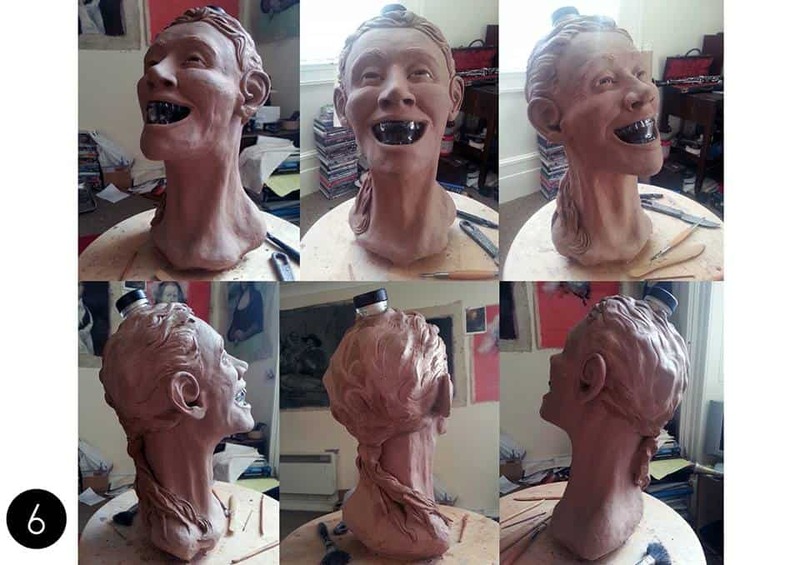 Now Nigel is one of the most famous and proficient forensic artists the world has ever seen. 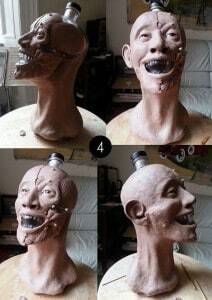 Someone who is able to reconstruct the face of a man from a Vodka bottle in form of a scull, can reconstruct any face. It is also an interesting idea for the distillery. Maybe, instead of a scull bottle, the distillery could think of a personalized bottle for rich customers. You know these persons who already have everything and are hard to give presents to. Wouldn’t it be a great idea to present a “Crystal Head Vodka”-bottle with a look-alike face? One should ponder about the implications of Nigels work. The dimensions in which creative fantasies can travel, are huge. What impresses me most about this story is that the producers of “Crystal Head Vodka” showed so much humour as to publish Nigels work in all forensic steps. They have not commented on an art edition reflecting Nigels idea yet, but probably they will someday. I asked myself: What can we learn from Nigel? We can learn that any situation and any alcoholic drink can inspire you. The only dull thing probably is the human brain. It is sleeping most of the time until it finds something with interesting aspects. 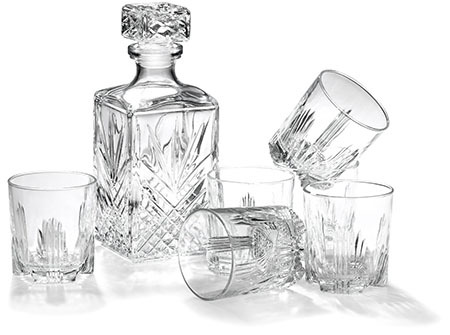 We conclude that Vodka is a dull drink without probing into the matter more deeply. Virtually nothing is dull unless someone declares it is. We should not believe our own superficial judgements. Because later in life, we might find out that the opposite of what we once declared is also true. 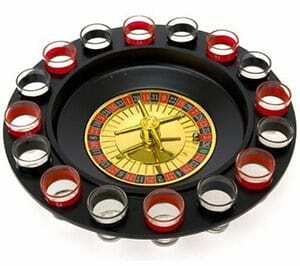 I found out that Vodka is a rich field once you start to find it interesting. 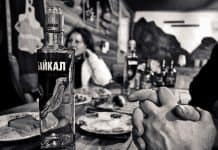 I do not need a Vodka bottle as a best friend because I meet so many Vodka lovers around this planet. If Vodka can inspire a Scotsman, it can inspire anyone.